AIM Associates has provided full architectural and engineering services for five phases of state-of-the-art biotech pharmacological labs, conference areas, and offices totaling over 90,000 sq. 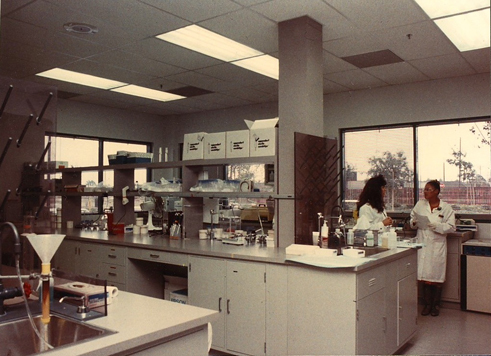 ft. in three different existing buildings for Roche Diagnostic Systems. Responsibilities include scheduling, cost control, design criteria, selection of engineers and team coordination from programming through construction. 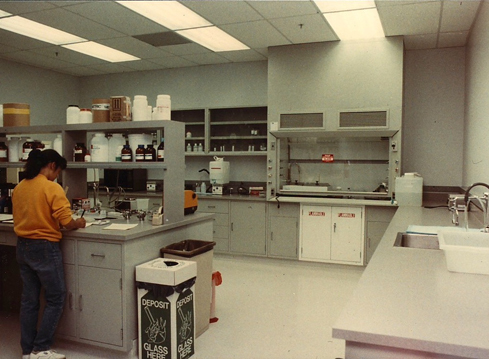 During the first phase AIM did not provide A/E services but acted as the Project Manager for 22,000 square feet of Labs. AIM was retained as requested by the parent company Hoffmann-La Roche because the project needed to be built on a very tight schedule and it had unusually demanding technical requirements. H-LR felt that the developer teams they were negotiating with for the possible building shells did not have adequate management and technical skills to lead the project. AIM worked with H-LR to select the best of three possible building shells under consideration for their facility. Project Management responsibilities also included scheduling, cost control, design criteria, selection of engineering consultants, lab design review, review of bidding and construction documents, and team coordination from programming through construction. Our lab consulting services included selection of lab equipment and specifications for lab furniture and fume hoods. The lab types include clinical bio, tissue culture, bacteria and fungi, R&D, BL-3, sample set-up, sample prep, AVTTL, and media prep. Cross contamination is of vital concern so AIM worked closely with the mechanical engineer optimize the locations of air intake, exhaust, and fume exhaust stacks. Areas producing DNA fragments and areas for PCR work are accessed through air locks with fail safe interlocks. Redundant HVAC fans, HEPA filters, etc. is provided for critical areas. Emergency power is provided to critical HVAC equipment. HEPA filters are used for fume hoods and critical supply and exhaust systems. A direct digital control building management system is used. Several projects required careful and planning and construction phasing to allow existing services to remain in operation on a continuous basis throughout construction.